We offer innovative digital sign networks for your business. We offer intuitive digital signage, no IT background needed. Easy to get started. Everything you need to create and manage digital signage campaigns. 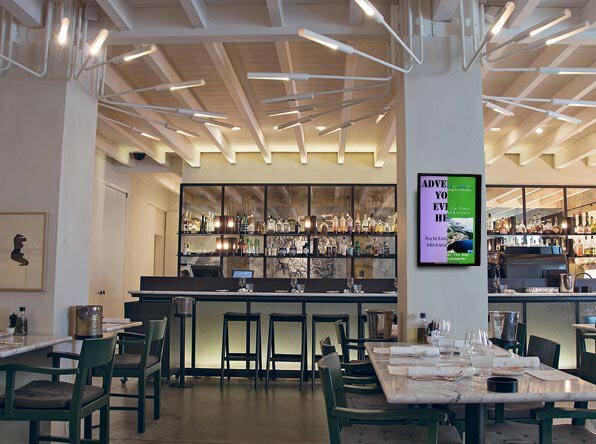 From slideshows to engaging social walls, use our digital signage software to design media-rich content that is engaging, live and dynamic. Using our Creative Studio, you will be able to create media-rich digital signage content. 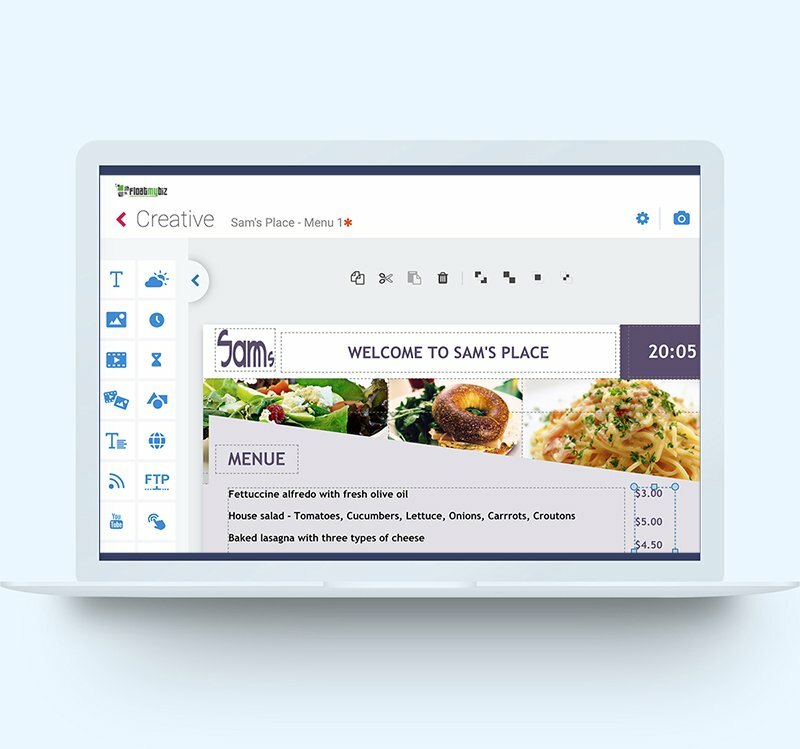 By using the built-in drag and drop widgets: images, videos, vibrant slideshows, RSS feeds, scrolling text tickers, webpages, interactive polls, virtual que, Facebook and Twitter feeds, YouTube streams, and more you will be able to create beautiful and dynamic digital signage content! The online editor is intuitive and specially designed for users with little graphic design experience. Equipment not included. You will have a chance to order equipment once subscription complete.